Epic Games has decided to release the Robo Recall sound track for free! This is amazing news for all Robo Recall fans. 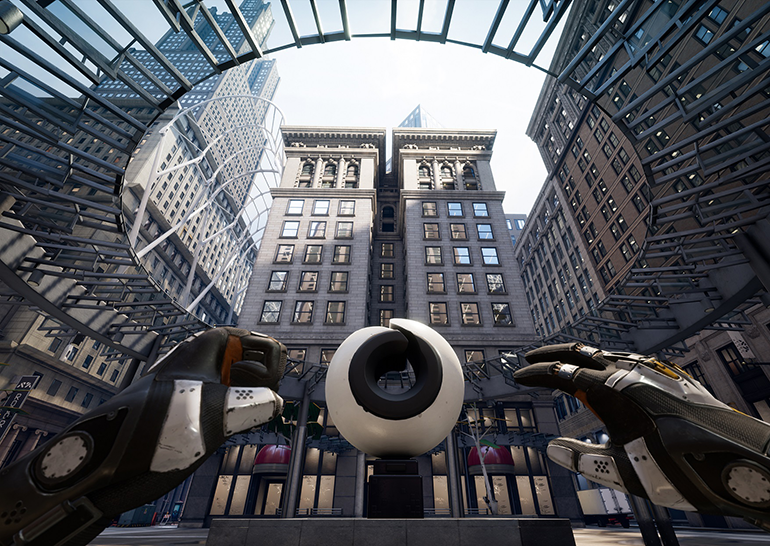 Released at the conclusion of this year’s ‘State of Unreal’ opening session during GDC 2017, the critically-acclaimed VR shooter Robo Recall has been hailed for its arcade action and creative combat using Oculus Touch. 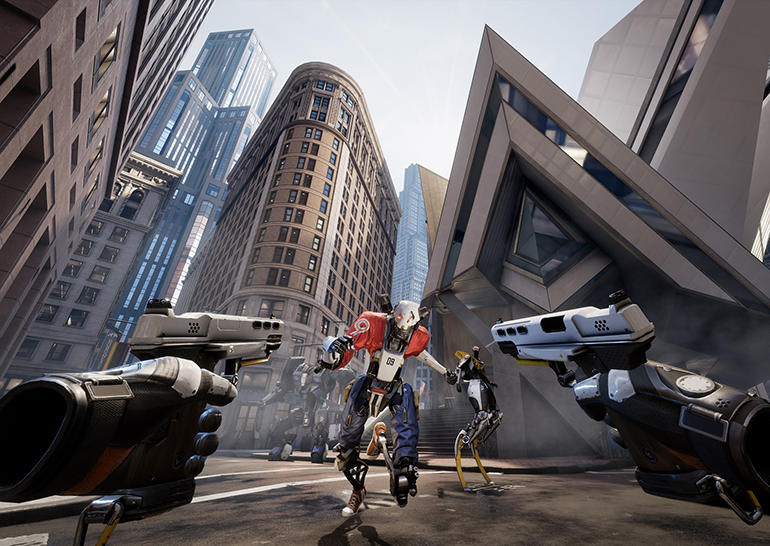 Built with Unreal Engine 4, Robo Recall fully supports mods via the Robo Recall Mod Kit, and the game is available for free via the Oculus Store. Today, Epic is proud to announce that fans of Robo Recall can get their hands (and their ears) on the full soundtrack for free via SoundCloud. With tracks like ‘Return to Sender’ and ‘Scrap Metal,’ the free soundtrack delivers as much punch and personality as the game itself. I chatted with Epic’s Seth Weedin about the creation of the soundtrack and the impact it has had on the overall project. 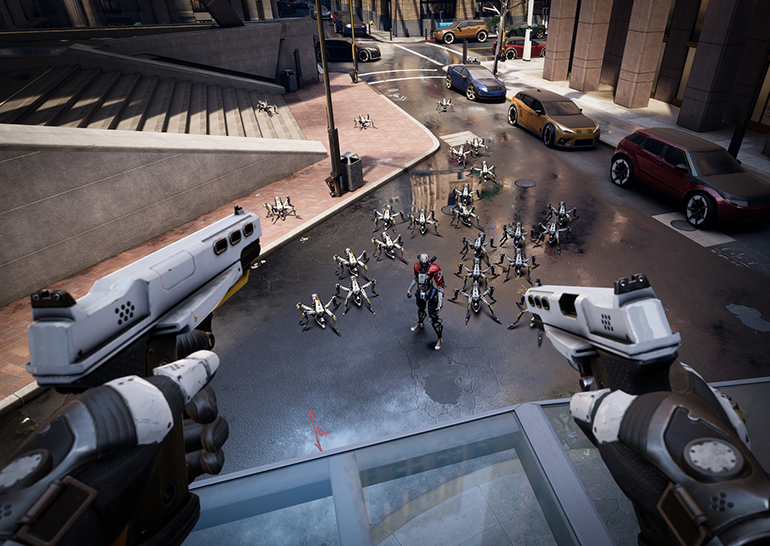 Seth took on many responsibilities during Robo Recall's development, including scripting gameplay mechanics, music, technical audio integration and systems, and tutorial scripting. Below is what Seth has to say about creating the soundtrack, and if you'd like to hear more, he'll be doing the Robo Recall postmortem panel at VRLA this week. How many people worked on the Robo Recall soundtrack and what were their roles? Seth Weedin: Over the course of development, responsibility for all of the music tasks fell on my shoulders. Writing the dynamic music system using Blueprints, composing/producing/implementing all music tracks and assets, and playing a lot of guitar. But most importantly, everyone on the team gave feedback and critique and really supported me. They really let me know when the music was on the right track. The soundtrack successfully mixes various aspects of metal and synth musical styles while featuring ambient interludes and soaring guitar solos that feel straight out of an 1980s action flick. Was this style a goal from the onset or did it take shape during the development of the game? S.W. : The style of music for the Robo Recall soundtrack very much took shape as the game got its legs. The game was constantly shifting and so it was very hard to nail something early that would stick. There could be a new mechanic that needed the dynamic music system to change slightly, which would require new assets. Or conversely, something on the music side would influence our gameplay. Everything was on its own schedule, closely intertwined, and converging fast. The moment things really clicked was when people in the office randomly started humming one of the riffs from the first track on the OST. Just out of the blue, without warning. I swear it happened 5-6 times a day. So we made that riff resonate throughout the entire soundtrack and used it as a foundation. Were there any particular video games or artists that influenced the Robo Recall soundtrack? S.W. : Steve Vai and Joe Satriani both played a huge part. Been listening to them ever since picking up the guitar for the first time ten years ago. Their music really influenced the guitar side of Robo Recall’s soundtrack. From the short riffs that play after combos, the drop D chugging during action moments, the improvised guitar solos, I brought out those tricks straight from them. From the synth and percussion side, I’ve been listening to a lot of Perturbator and Kavinsky lately. They rock. In terms of the process, where did you begin when setting out to craft each individual track? S.W. : Each track was produced to be standalone and at some point during production it needed to follow a convention so that I could chop it up to be applicable for game assets (dynamic music, loading screens, score riffs, etc). It all began on the guitar, just playing around and practicing. It was a breath of fresh air because guitar had been absent from my personal music for such a long time. I just never had the gear or space to make it happen the way I wanted to. After 30 minutes or so of improvising, I’d hope to have a rough idea of what to do and then would get on to percussion and synth work. Once the concept started to feel good, I’d freeze my work and immediately put the track into game just to see how it felt. I’d look to get a few critiques from the team, too, which are always valuable at the early stage. At this point if it was meshing with the game I’d say the track had been “started” and would continue to iterate and polish. Can you describe the instruments and equipment used in creating the soundtrack? S.W. : The guitar was a Gibson Les Paul Studio (with a Floyd Rose FRX add-on, thanks Tommy!) sent to an old Vox AC15 amp. From there that was sent directly to the audio interface and into FL Studio. Most of the time each part was recorded twice with one take for the left and one for the right to get that wide stereo effect. On the equipment/software side, I’ve been an FL Studio user since I was ten years old. Every track in the OST was produced with it. Some of my favorite synths for the project were Harmor and Serum. What was the most fun aspect of crafting this amazing soundtrack? S.W. : You flatter me. Honestly the most fun thing while making the soundtrack was when I got to play and see both the soundtrack and game evolve together. It was a tug-of-war, but in the end it just clicked one day playing through a mission. The game and the soundtrack didn’t exist separately anymore, they were one in the same. It was awesome and I hope everyone enjoys it! You can listen to the Robo Recall Official Soundtrack in its entirety right here via the Epic Games channel on SoundCloud. For more info on Robo Recall, head over to the game’s official website.